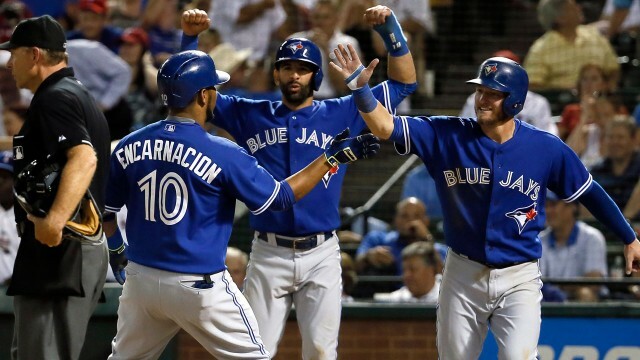 MLB Blog: Bautista, Encarnacion and Donaldson..the dynamic trio ! Bautista, Encarnacion and Donaldson..the dynamic trio ! TORONTO - The Blue Jays have just locked up Josh Donaldson for 2 years at 29M. Next on the horizon are Jose Bautista and Edwin Encarnacion. Both players are in their final contract years with Toronto and both have expressed interest in staying with the Jays. Based on the contract inked for Donaldson, the two remaining superstars will likely want similar annual amounts with likely more years attached. Time will tell whether the Jays will want to keep all three players heading into 2017.